The Land Rover Discovery has received a new 3.0-litre SDV6 diesel engine internationally. Along with the new diesel engine, Land Rover has introduced new driver assistance safety technologies for the mid-size SUV. The Land Rover Discovery's new V6 diesel engine is a twin-turbocharged unit. The new 3.0-litre SDV6 diesel engine uses parallel sequential twin turbochargers. It produces 225 kW (306 PS) at 3,750 rpm and 700 Nm of torque at 1,500-1,750 rpm. Like other Land Rover Discovery engine options, it comes paired with an 8-speed automatic transmission as standard. The new 3.0L SDV6 engine-powered Land Rover Discovery can reach from 0 to 100 km/h in 7.5 seconds and attain a top speed of 209 km/h. It has a towing capacity of 3,500 kg. The CO2 emissions rating varies from 198 g/km to 205 g/km as per the configuration selected. Configurations equipped with the new twin-turbo diesel engine get a permanent AWD system with a two-speed transfer case and an electronic centre differential as standard. Also included as standard kit is Terrain Response 5-mode (including additional Rock Crawl mode). 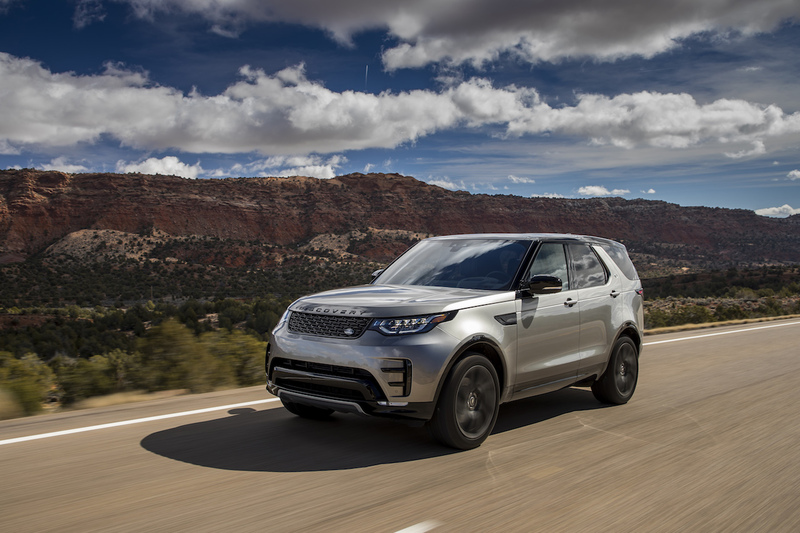 Getting to the safety updates, the Land Rover Discovery now comes with Clear Exit Detection, which alerts the driver and passengers if a hazard is approaching from behind when exiting the vehicle. If a vehicle, a cyclist or some other obstacle is detected while exiting the vehicle, a warning light flashes on the door to alert the occupants. Adaptive Cruise Control now includes Stop & Go. The selected speed is maintained when safe, but it is automatically adjusted to maintain a predetermined distance from the vehicle in front. The updated system can even bring the vehicle to a complete stop in heavy traffic and, if the traffic moves again within three seconds from then, the drive automatically resumes and the vehicle in front is followed again. Land Rover has simplified the process of specifying vehicles with safety features now divided into three packages - Park Pack, Drive Pack and Driver Assist Pack. The new 3.0-litre SDV6 diesel engine could be introduced in the Land Rover Discovery in India later this year.